Coyote volleyball traveled to Milwaukee to compete in the Panther Invitational Friday and Saturday, falling to Northwestern 1-3, but defeating Milwaukee 3-0 and New Hampshire 3-1 to round out the tournament. In their first game of the season, USD faced Northwestern, the first of two Power Five conference matchups this year. The Coyotes lost the first set 16-25 and stole the second set 25-20, but couldn’t keep up for the latter half of the match, dropping the third and fourth sets 20-25. Senior middle blocker Taylor Wilson finished with 10 kills, four blocks, and one ace. Senior outside hitter Hayley Dotseth tallied 12 digs, nine kills, two aces, and one block. Freshman middle blocker Emily Grathoff earned seven of USD’s eleven blocks, the most from either team. Northwestern would go on to win the tournament in, undefeated in three games. Following the game against Northwestern, USD took on the tournament’s host, the University of Milwaukee, defeating them in three sets, 25-15, 25-14, and 25-16. Dotseth led the team with 13 kills, while Wilson accounted for seven kills and five blocks. Rasmussen ended with 19 digs. USD dominated from the baseline with 10 aces to Milwaukee’s two, sophomore setter Madison Jurgens and junior defensive specialist Mehana Fonseca serving three each. Saturday, USD played New Hampshire in their last match of the tournament. New Hampshire took the first set 25-21, but the Coyotes caught momentum for the rest of the match, winning the final three sets 25-14, 25-19, and 25-16. Dotseth totaled 17 kills, two aces, and two blocks. Wilson tallied nine kills and four blocks. Jurgens led the team with 41 assists and 18 digs. 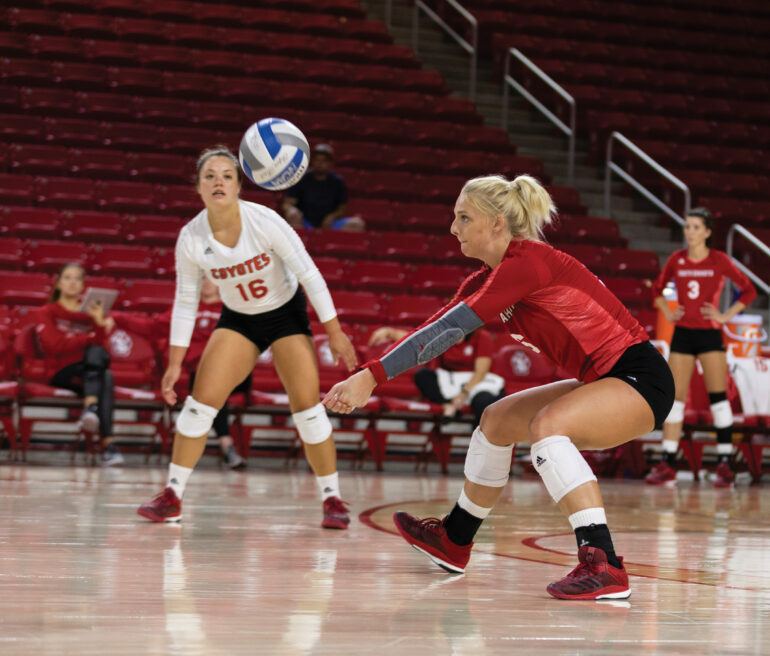 Over the weekend, USD out-blocked their opponents 29-16, 13 of those coming from freshman Emily Grathoff, who made her Coyote debut on Friday. Sophomore Madison Jurgens also made her debut as the team’s setter, collecting 103 assists and 34 digs in three games. The Coyotes return to Vermillion to host the South Dakota Classic in the Sanford Coyote Sports Center Aug. 31st and Sept. 1st., slated to play Northeastern, California, and Northern Colorado. Austin Lammers is a third-year Media & Journalism student minoring in creative writing. 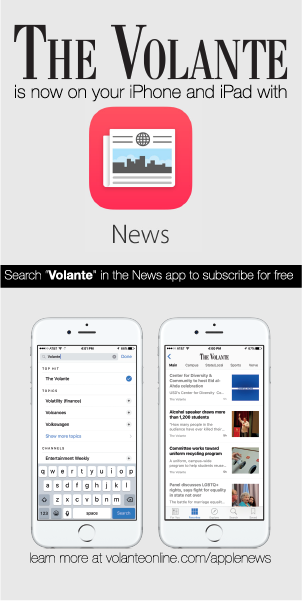 He is the Editor-in-Chief of The Volante.